VIEW-VIEW-VIEW. 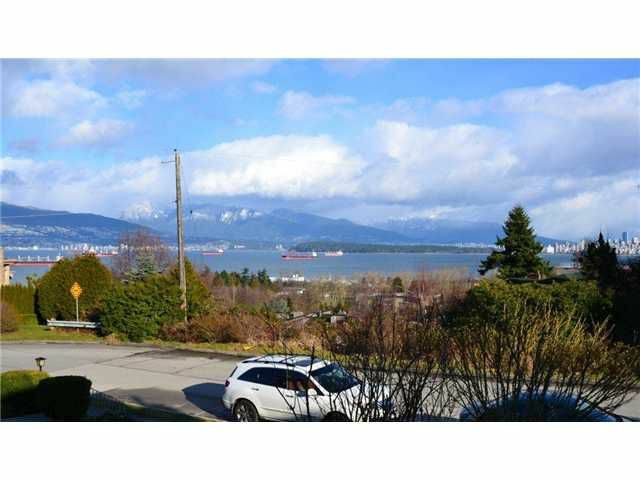 Unobstructed city, mountains & water from all levels of this rare, flat 50x122 RS-1 lot perched above the street. Sunny west back yard, fully fenced with 10 foot wide lane access. Charming Point Grey character home with fourbedrooms two baths up. Elegant Llving & L shaped dining room w/ bordered oak hardwood floors. Cozy den with fireplace & beautiful view across the hall. Full bath & family room off recent kitchen w/ huge island, eating area & large private sundeck. Granite counters, gas cooktop, furniture styled cabinets & beautiful clear Oak hardwood floors. Live in or build your new 4150 sq ft dream home. Steps to the beach, Queen Mary school, UBC Golf course & 10th Ave shops & restaurants. 6140 sqft VIEW LOT.